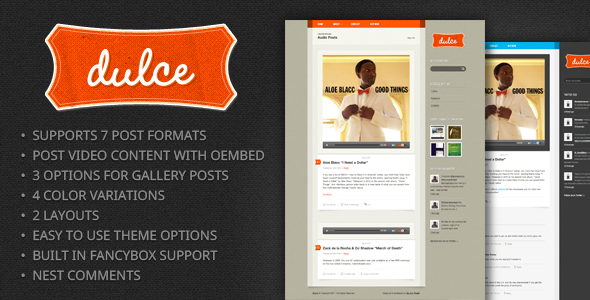 Dulce is a tasty, premium WordPress theme solution designed & developed for personal and professional microbloggers. With Dulce, it’s all about versatility. The theme supports seven post formats, offers four color variations, boasts three options for gallery posts, provides an easy to use theme options, features a custom designed audio player and more. If you’re interested in offering your readers a smart-looking, user-friendly, stylish, intuitive and creative driven blog, look no further. 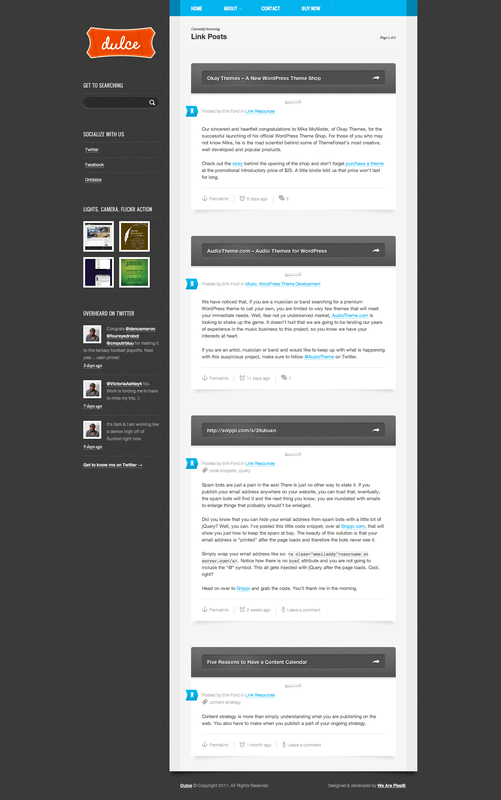 Post video content with oEmbed. 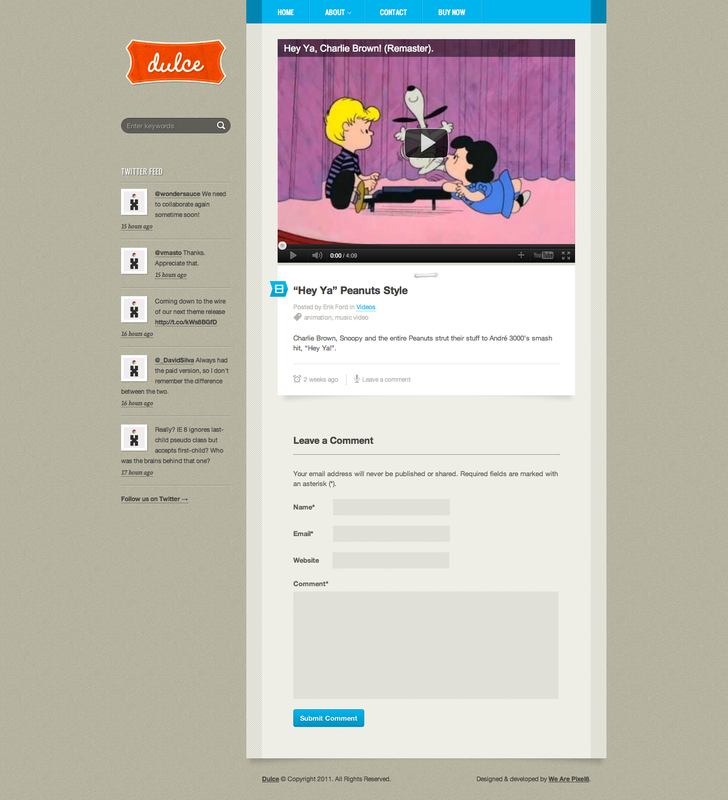 Preview your video from your WordPress editor. 3 different options (2 jQuery slideshows or a grid gallery) for displaying your gallery posts. Built in lightbox effects on linked images using Fancybox. Main menu supports drop downs 2 levels deep. 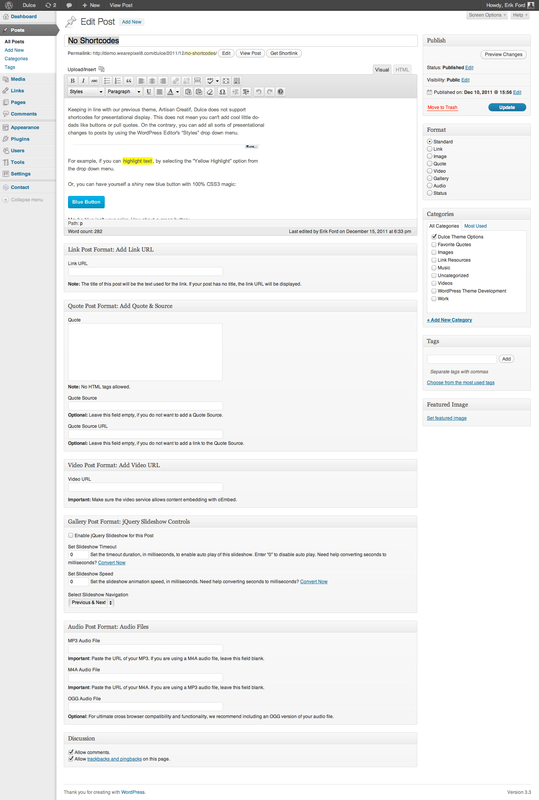 Built in pagination. No plugin required. 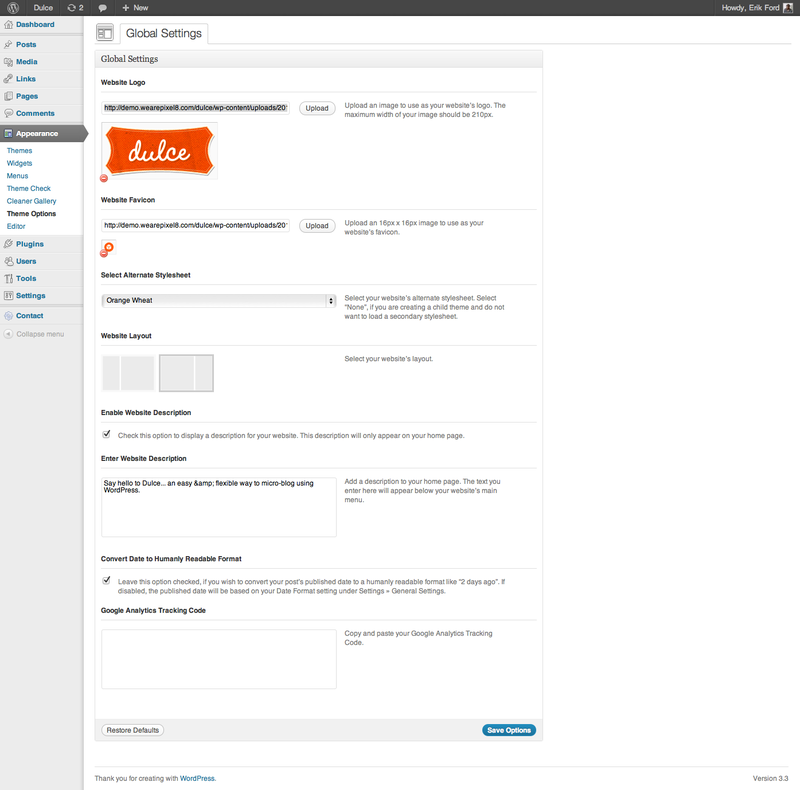 Editor Styles for posts and pages. No more guessing what the content will look like on your live site.